I missed Camp GORGO last year. So in July 2014, as I saw all the fun photos posted on social media of that weekend, I felt like I missed the best party of the year that all my friends (and people I'd want to be friends with) went to. Well, I guess I had something pretty important I was doing to miss Camp then right? Yup, I was busy trying to walk out an overdue baby. So last week, was my first Camp GORGO experience. I've travelled to several fitness camps over the years as both an attendee and as a worker. Taking a weekend where you learn and connect with likeminded women is a game-changer. How was this Camp? Camp GORGO was special. It was INSPIRING. It was MOTIVATING. It was FOR REAL. No one was there to be a fitness model. No one was there to catch the eye of a photographer. 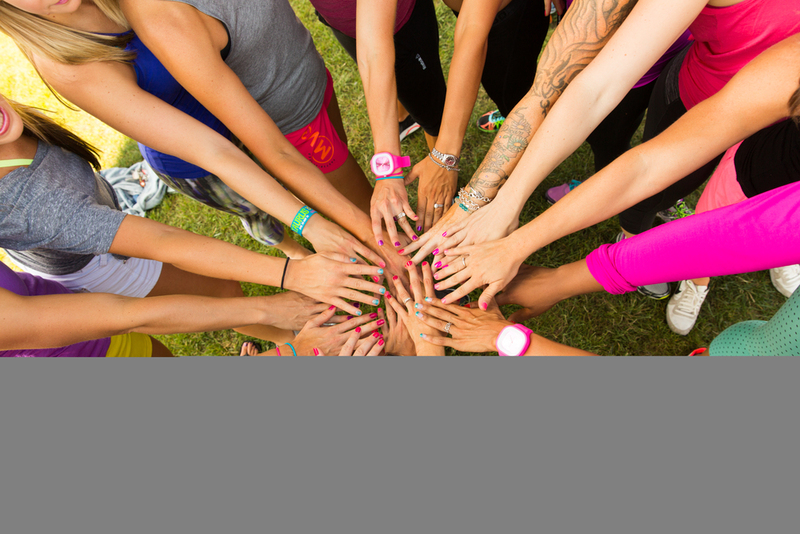 We came together because we want MORE than the superficial fitness that is served up to us all the time. Camp was full of STRONG, fierce, beautiful women pushing their boundaries in an environment of fun fitness. It re-grounded me to meet so many of you personally. It's why I started into all this in the first place. Many of the Sisters from both our Power Prep and our LifeStyle Fit coaching programs came up to Kentucky a day early as we held a for fun Sisters in Shape photoshoot with Gustavo Alfaro. The ladies all totally rocked it and got amazing photos! While no one came with the attitude of a model rock star, everyone shone with their beautiful & unique personalities. Just check out #SistersinShape on Instagram and you'll find tons of incredible shots from our shoot! HUGE THANKS to MPG for providing us the bright colourful clothes you see in many of the photos. That green wall was a great find! It made all of our pictures just POP. If you weren’t able to make it out to Camp - and you're still reading this post, then I want to personally invite you to come and be part of this. If you're still reading this post, then you're probably part of our tribe and just haven't connected with us. You can take a quick peek at this highlight reel from this year's Camp Gorgo! “Ahh Camp GORGO: what can I say, but what a GAME CHANGER. A couple of years ago, I started following a few women on Facebook. They had rocking bodies and were strong physically, yet they had so many other important things in their lives that they stood for. They shared their struggles candidly and they shared their strategies to overcome them. As a physician new to practice, I could relate to that. Struggling to achieve the complex balance between fitness, a busy career, and family was part of my daily grind. When I signed up for Camp GORGO, I felt like I was taking a trip to FITNESS Hollywood. I would get to meet all these inspirational women, face-to-face, for the first time. And not only that, I would do a photo shoot with them! Yet when I met the masterminds behind Sisters in Shape and GORGO, I found that they were down to earth, supportive, caring, and I'm so happy to now call them my friends. GORGO is a movement that is all about building women up. Strength. Power. Progress. Passion. Consistency. Togetherness. Together we are stronger. Together, we are a tribe. Many Sisters are already booking for next summer’s Camp GORGO lll! Seriously, people are asking me how they can come next year. Insider Tip...Register NOW. We will sell out soon & there is a ONE WEEK Special for 25% off the next Camp GORGO applicable with deposit- *ENDS August 7th! * Use the code GORGOGIRL in the checkout. Thanks for reading, see you at CAMP GORGO next July!